Four tracks of taut, relentless techno grooves rooted in the late 90’s tradition of energetic and ravey & jacking tracks to rock the dancefloor. 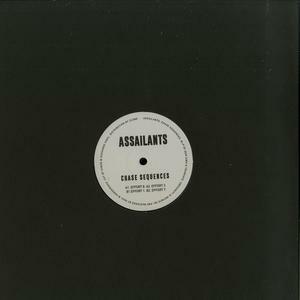 No surprise there are passionate and skilled dj s behind this project... Ben Sims & Truncate have formed to create Assailants. Their new studio and b2b DJ project’s first output comes on the new imprint, Obscurity is Infinite. Early support from Robert Hood, Ben Klock, Luke Slater and Mark Broom. All killer!